Pre-motherhood my mornings were usually much calmer (unless I snoozed my alarm too much). I woke up, made myself breakfast, packed my lunch, got ready for the day and grabbed a cup of coffee from my building's coffee maker. These days, my usual mornings are anything but calm. As a full-time working mom to a two-year-old and ten-month-old, my days are pretty hectic and my mornings start off pretty hastily, too. I often do not get the best quality sleep (surprise, surprise!). I wake up to nurse in the middle of the night anywhere from one to four times. I co-sleep so I share my bed and the little one takes over. Each morning, I wake up, rush into the shower, and grab a quick breakfast if I'm lucky enough to remember. As for lunch, I usually buy it though I do make an effort to take leftovers if we have any. 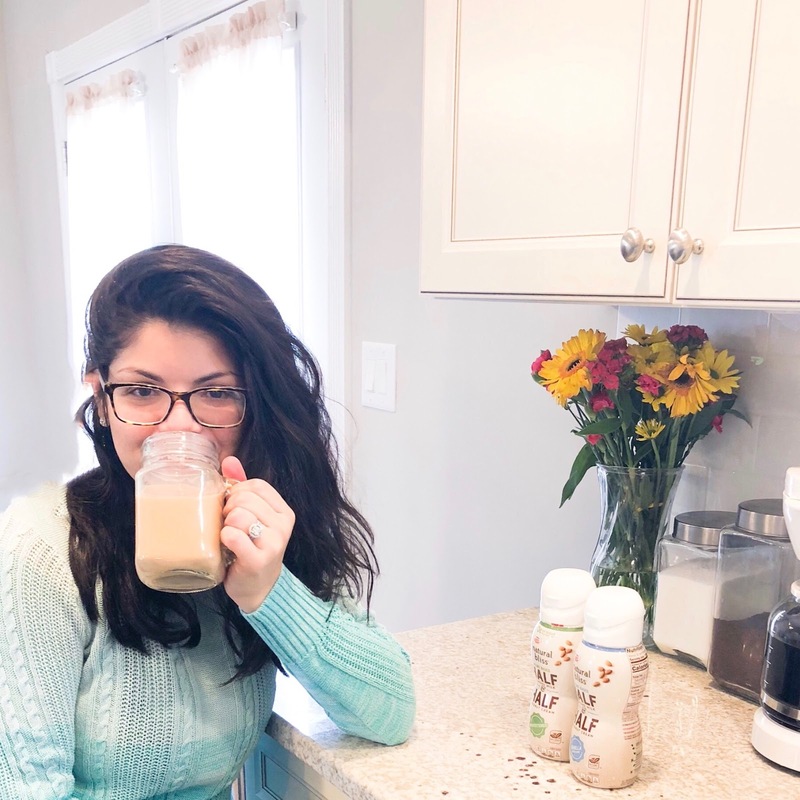 Something that has remained a staple of my morning routine is: drinking coffee. It's one of the first things I do when I wake up. These days, however, I have to warm it up a few times... but that's neither here nor there. A little tidbit you might not know is that I also enjoy a cup of coffee at night. 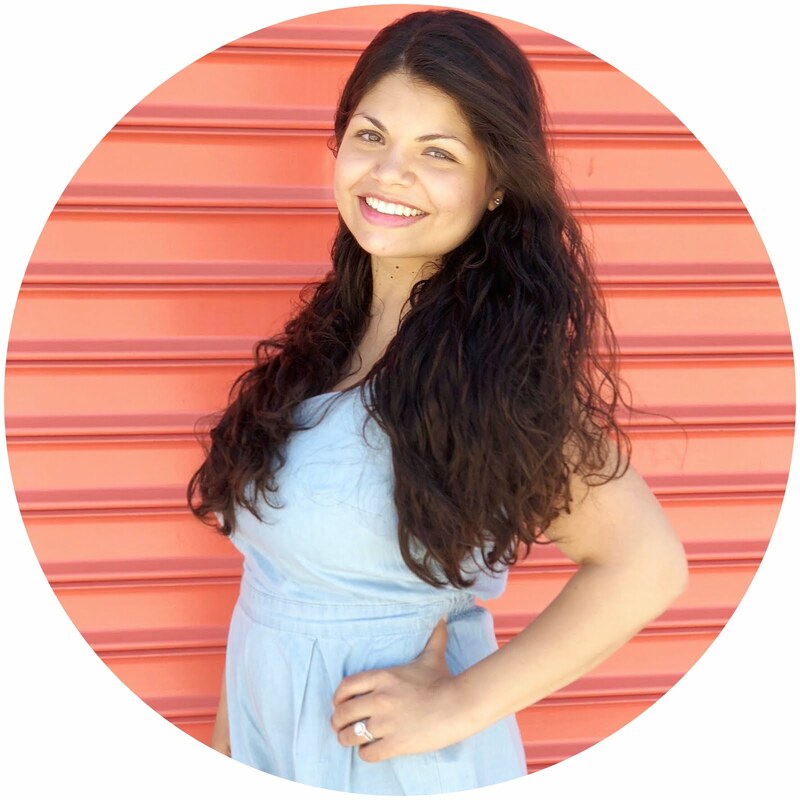 It's popular in the Hispanic and Latino cultures. 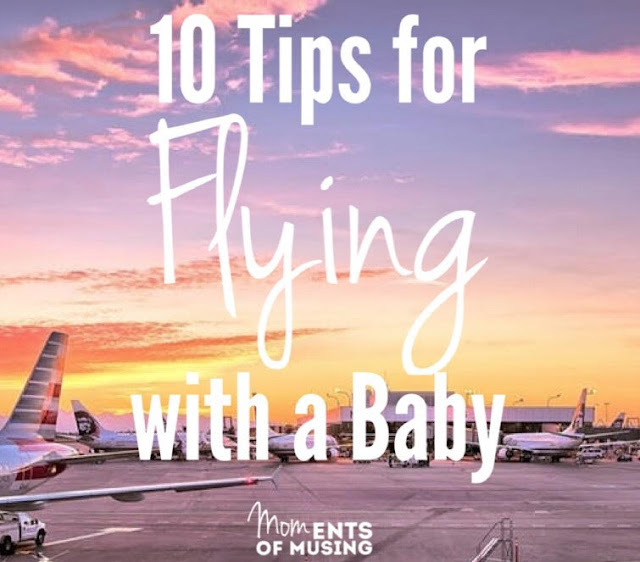 Ironically, though it energizes me in the mornings, it is also a part of my calming nighttime routine. 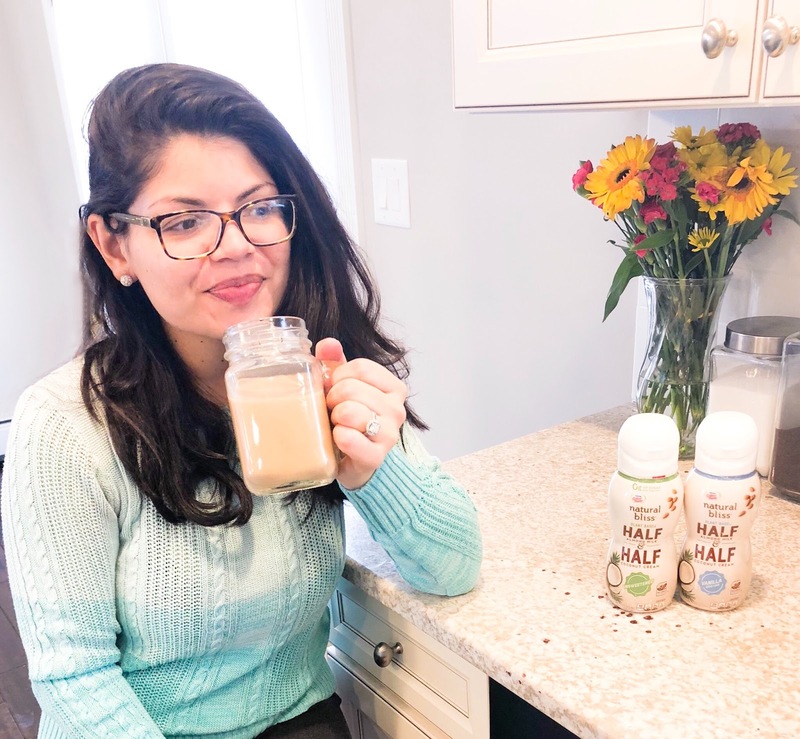 Recently, I've also been trying to choose healthier options for my coffee. 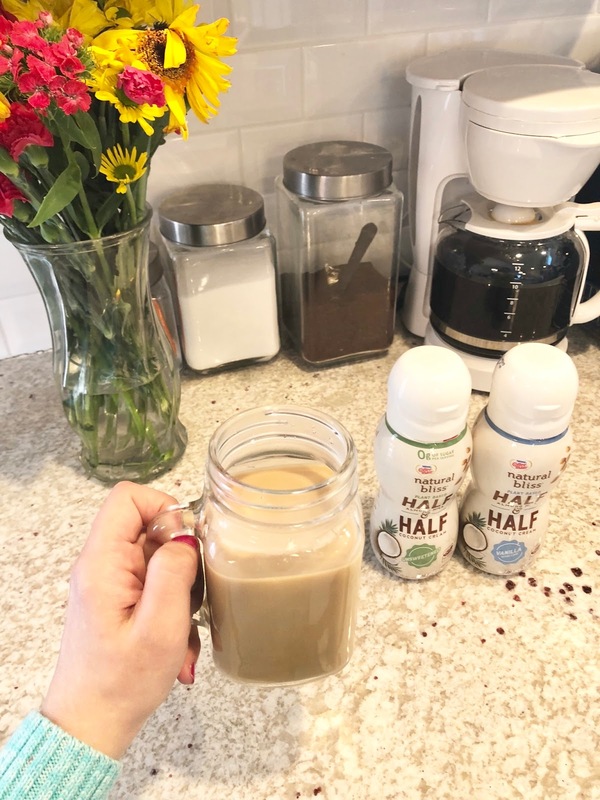 That's why I enjoy the new Coffee mate® natural bliss® Plant Based Half & Half Vanilla and Half & Half Unsweetened. My husband is a fan, too! 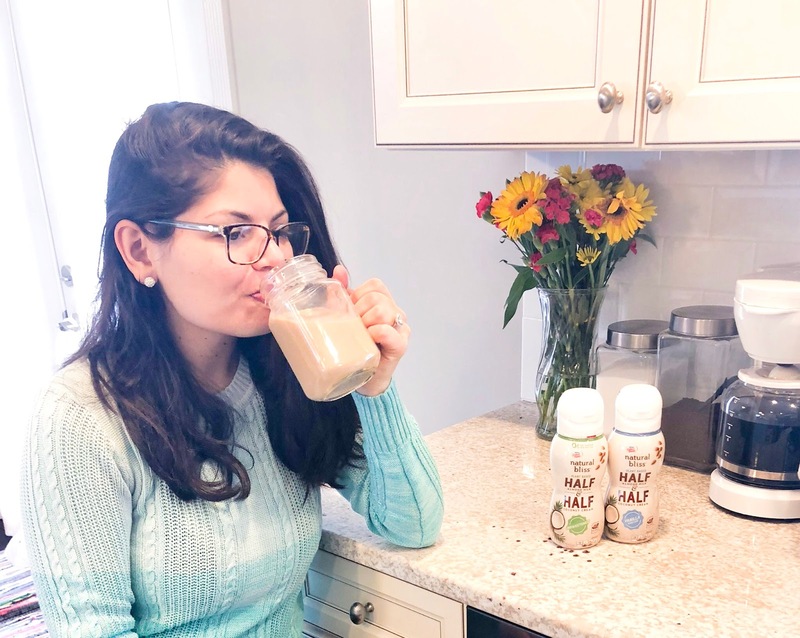 It is all natural, plant-based, non-dairy, and non-GMO, made with real almond milk and coconut cream. 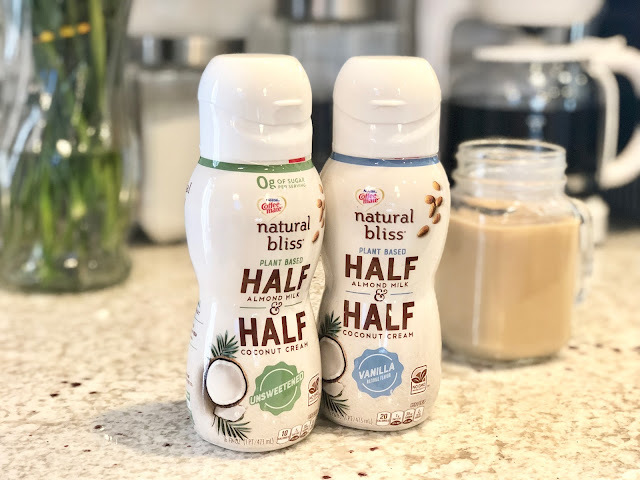 The new Coffee mate® natural bliss® Plant Based Half & Half is the premier plant-based half & half product, offering creamy texture and less sugar (Vanilla has only 2g of sugar per serving and Unsweetened has 0g of sugar) without compromising on taste. It is available in the creamer section at your local Walmart. 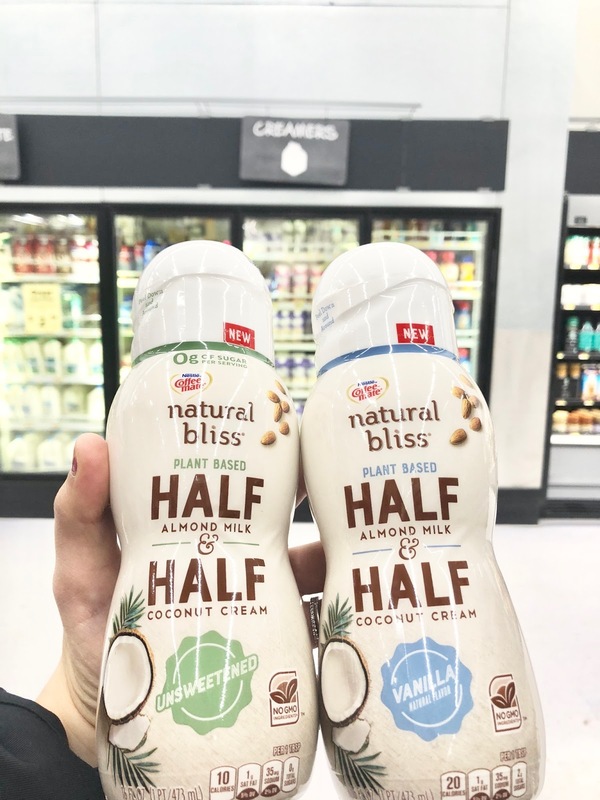 Earn $1 off any 1 Coffee mate® natural bliss® Plant Based Half & Half (16oz).